According to Mitt Romney, “Russia is, without question, our number one geopolitical foe.” Romney has promised to get tough with China “on day one” of his presidency, and he has sworn never to negotiate with the Taliban. He has also called Iran “the greatest immediate threat to the world since the fall of the Soviet Union, and before that, Nazi Germany.” While it’s not always clear who the enemy is, the former governor of Massachusetts consistently communicates the idea that the United States is—despite its huge military, economic, and political advantages—under dire threat from much of the world. This paranoia and incoherence has come about despite, or perhaps because of, the efforts of a number of major foreign policy players within the Romney campaign. Romney has assembled a team that, in David Sanger’s formulation, rejects the humbler foreign policy of George W. Bush’s second term in favor of the more aggressive neoconservatism of Bush’s first. This is a team in which former U.S. ambassador to the UN John Bolton feels at home. A campaign team has two purposes. First, to supply rhetoric and policy that will help the candidate win; second, to provide the nucleus for the group that will guide administration policy. Because the campaign team often becomes the policy team, there is a strong likelihood that presidential candidates will try to follow through on many of the promises they have made on the campaign trail. 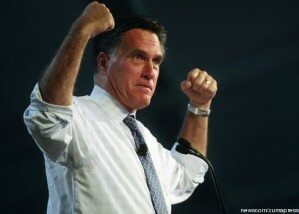 What kind of case is Romney making on defense, and whom is he relying on to make it? Broadly speaking, Governor Romney has adopted a set of positions on military policy that fall well within what has become the Republican mainstream. In tones reminiscent of Republican presidential campaigns since the Reagan administration, Romney has argued for an increase in defense spending, suggesting that the Obama administration has left the United States vulnerable to foreign states and terrorist organizations. In particular, Romney has embraced the Heritage Foundation’s “4 Percent for Freedom” platform, the argument that the base defense budget should be fixed around 4 percent of national GDP. On specific issues, Romney has generally argued for a more hawkish line than Obama, including more aggressive policies on Syria, Iran, and China. Many of these positions—particularly the idea that the defense budget should be increased—are not particularly popular with the public as a whole, but they do speak to several key GOP constituencies. First, it shows the enduring power of the conservative think tank community, which continues to structure (or perhaps straitjacket) mainstream Republican foreign policy thought. A less hawkish approach might have cost Romney in the GOP primary. Second, Romney is catering to a defense industry that has become skittish about the potential for significant cuts to the growth of the defense budget. Loren Thompson, an analyst at the Lexington Institute and well-known mouthpiece for the defense industry, argued in strong terms for Romney’s nomination during the primary, and has warned that the prospect of defense cuts may spell danger for the Obama campaign. The defense industry donates generously to both parties, but it would surely benefit from increased spending under a Romney administration. These arguments have also played well amongst the “defense Keynesians,” advocates of military spending as a means of job creation. This is a wide-ranging constituency, often cutting across party lines to include Democratic officeholders with defense facilities in their states and districts. Military personnel have also expressed significant concerns about the potential for additional defense cuts. As yet, however, Romney has given little indication of how his administration would pay for increased defense expenditures. Third, Romney is trying to appeal to military and military-oriented voters (although these groups are not always the same). The Romney campaign has had some difficulty connecting with these voters, as donors from the veteran community initially preferred Ron Paul, and later President Obama. Romney’s rhetoric on defense consistently expresses sympathy and support for members of the uniformed armed services, although his policy recommendations do not accord with the publicly stated preferences of the senior brass. The general trend of deference to senior military officers has played an unfortunate, if complicated, role in this situation. As the voices of senior military officers have become more important, the insistence of administration officials that senior officers remain “on message” has increased. This means that there is little public dissention on policy at the senior level. So while Romney’s advisers on military affairs include some individuals with military experience, the bulk come from the civilian defense intellectual world. Romney’s Defense Working Group is co-chaired by John Lehman and Roger Zakheim. Lehman had a successful career in investment banking and served as the Secretary of the Navy under Ronald Reagan. Despite his occasional critique of Republican Party policies, Lehman has remained an important senior member of the community of conservative defense intellectuals and has supported the work of neoconservative groups like the Project for a New American Century. While Romney hasn’t made clear how his administration would restructure defense priorities (apart from the across-the-board spending increases), his campaign’s position on naval affairs has been worked out in some detail. In a recent post at the maritime blog “Information Dissemination,” Lehman argued that the Obama administration has paid insufficient attention to the shrinking Navy, promising that Romney would expand the current force by increasing building to 15 ships per year. The cost of such expansion is unclear, but likely substantial. Naval power has been a hot topic in conservative think tanks circles over the past year. In 2011, for example, a Heritage Foundation paper titled “A Day Without Seapower,” written by then Heritage fellow (and now American Enterprise Institute fellow) Mackenzie Eaglen and retired Navy Captain Bryan McGrath made a splash in conservative defense circles. Both Eaglen and McGrath support the Romney campaign. Romney may also be trying to make inroads in Virginia and Florida, states heavily dependent on military (and especially naval) spending. It is difficult to see an electoral route for a Romney victory that does not involve either or both Florida and Virginia, and Romney’s naval focus should play well in both states. However, Romney’s naval focus creates some contradictions. While Romney’s hawkish line on China may have served to insulate him from attacks during the primary campaign, the GOP consensus on the threat from China is far from solid. The U.S. Navy’s current strategic posture manages this problem by trying to bring China into a broader cooperative framework, while maintaining a capability for deterring or defeating the Chinese military. Romney, however, has not yet embraced this framework, instead holding to a hard line against the potential of a Chinese military and economic threat. Also, if Romney genuinely refocuses U.S. military attention towards the Navy, he will have to deal with hostility from the Air Force and the Army, neither of which will support substantial cuts to their own budgets. The divide over China could become even more problematic given the huge role that the rabidly “pro-Israel” billionaire Sheldon Adelson has played supporting the Romney campaign. Adelson previously bankrolled Newt Gingrich’s campaign before shifting to Romney when the former dropped out. Sen. John McCain (R-AZ) has criticized Adelson’s influence because a substantial portion of Adelson’s fortune comes from Macau-based casinos, thus making Adelson effectively dependent on good relations with China. Romney’s association with Adelson is part of a generally hawkish approach on Israeli security, which has included tapping key neoconservatives to serve as advisers, denying that the Palestinians would accept a two-state solution, and assiduously courting AIPAC and the “pro-Israel” lobby. A key aspect of Romney’s approach to foreign policy is the remarkably hawkish advisory team he has chosen to speak on behalf of his campaign. While he has enlisted some advisers who are known for taking “realist” stances on U.S. foreign policy, these voices are apparently being marginalized by more hawkish personalities within the campaign. There is little reason to think that levelheaded voices will emerge to constrain Romney’s seemingly growing belief in the efficacy of using America military power to resolve the country’s overseas dilemmas. Indeed, despite criticizing President Obama for the conduct of the Libya War, Romney has argued for an expansive view of executive war powers, suggesting that he could take the decision to go to war with Iran without resort to congressional approval. To be sure, this interpretation is not fundamentally different from the Obama administration’s assumptions about executive power, but it nonetheless suggests that Romney’s legal advisers on the use of military force will hew to a hawkish line. The payoff for Romney comes not in terms of direct electoral benefit from military voters, although certain “dogwhistles” certainly play to long-standing political preferences dear to the GOP’s base. Rather, Romney’s strategy reassures elites (both business and political) dependent on defense largesse that the Romney campaign is on their side. This effort undoubtedly has implications for how a President Romney would govern. Romney will surely find it difficult to increase defense spending in the face of tight budgets and the Republican reluctance to raise taxes. However, the “shadow government” of advisers he has assembled for his campaign will make it difficult to do anything else. As a political figure, Mitt Romney has—intentionally or inadvertently—developed a reputation for ideological flexibility. His campaign rhetoric on foreign policy, however, seems calibrated to allow him the least possible amount of breathing room once he becomes president. In this effort, Romney has gone beyond even what a very hawkish defense and foreign policy team might counsel. Romney obviously believes that a hawkish approach provides the best antidote to President Obama’s already hawkish foreign policy record. If he’s right, it may prove difficult to tack back to a moderate, responsible foreign policy. Robert Farley is an assistant professor at the University of Kentucky’s Patterson School of Diplomacy and International Commerce. His last article for Right Web, “The China Divide and the Future of the GOP,” was published in November 2011. CNN Press Room, “Romney: Russia is our number one geopolitical foe,” March 26, 2012, http://cnnpressroom.blogs.cnn.com/2012/03/26/romney-russia-is-our-number-one-geopolitical-foe/. Benjamin Armbruster, “Huntsman Calls Romney’s China Talk ‘Typical’ Campaign Rhetoric,” ThinkProgress: Security, May 25, 2012, http://thinkprogress.org/security/2012/05/25/490426/huntsman-calls-romneys-china-talk-typical-campaign-rhetoric/; David Sanger, “Is there a Romney Doctrine?” New York Times, May 12, 2012, http://www.nytimes.com/2012/05/13/sunday-review/is-there-a-romney-doctrine.html?_r=1&pagewanted=all. David Rothkopf, “The Enemy Within,” Foreign Policy, May/June 2012, http://www.foreignpolicy.com/articles/2012/04/23/the_enemy_within_0. Chris Good, “Why Colin Powell Bashed Mitt Romney’s Foreign Policy Advisers,” The Note, May 24, 2012, http://abcnews.go.com/blogs/politics/2012/05/why-colin-powell-bashed-mitt-romneys-foreign-policy-advisers/. Yochi J. Dreazen, “Obama vs. Romney: National Security,” National Journal, June 7, 2012 http://www.nationaljournal.com/issues/the-debate-over-the-military-and-u-s-power-graphic-20120607. Christopher A. Preble, “Romney’s 4 Percent Military Spending Still a Fantasy,” The National Interest, March 19, 2012, http://nationalinterest.org/blog/the-skeptics/romney%E2%80%99s-4-percent-military-spending-still-fantasy-6664. Loren B. Thompson, “If Republicans Don’t Pick Romney, Obama Will Win Reelection in a Landslide,” Lexington Institute: Early Warning Blog, November 10, 2011, http://www.lexingtoninstitute.org/if-republicans-dont-pick-romney-obama-will-win-reelection-in-a-landslide?a=1&c=1171; Spencer Ackerman, “Defense Industry’s Favorite Think Tank Daydreams of Obama Defeat,” Danger Room, April 12, 2012, http://feeds.wired.com/~r/WiredDangerRoom/~3/gWh3baFB5Tw/. Ben Armbruster, “Romney Blames Obama for Bipartisan Military Spending Cuts,” ThinkProgress: Security, May 20, 2012, http://thinkprogress.org/security/2012/05/20/487290/romney-obama-military-sequester/. “Who are Obama’s and Romney’s Key National Security Advisers?” National Journal, June 8, 2012, http://www.nationaljournal.com/pictures-video/who-are-obama-s-and-romney-s-key-national-security-advisers-pictures-20120608; Philip Rucker, “Mitt Romney taps foreign policy, national security advisers,” Washington Post, October 6, 2011, http://www.washingtonpost.com/politics/mitt-romney-taps-foreign-policy-national-security-advisers/2011/10/06/gIQAnDHzPL_story.html. Right Web, Michael Chertoff profile, https://rightweb.irc-online.org/profile/Chertoff_Michael/; Paula Dobriansky profile, https://rightweb.irc-online.org/profile/Dobriansky_Paula; Eliot Cohen profile, https://rightweb.irc-online.org/profile/Cohen_Eliot/; Robert Kagan profile, https://rightweb.irc-online.org/profile/Kagan_Robert. John Lehman, “To What Extent is the Navy setting forth a strategic vision that agrees with your understanding of America’s global role?” Information Dissemination, June 2012, http://www.informationdissemination.net/2012/06/to-what-extent-is-navy-setting-forth.html. The author is also a contributor at Information Dissemination. Spencer Ackerman, “Wallets Aweigh: Romney’s Naval Surge Could Cost $40 Billion,” Danger Room, October 17, 2011, http://www.wired.com/dangerroom/2011/10/romney-shipbuilding/. Bryan McGrath and Mackenzie Eaglen, “A Day Without U.S. Seapower,” The Weekly Standard, June 6, 2011, http://www.weeklystandard.com/articles/day-without-us-seapower_571629.html. [2 0] Bryan McGrath, “What’s That? Why, It’s Another Donation,” The Conservative Wahoo, June 16, 2012, http://conservativewahoo.blogspot.com/2012/06/whats-that-why-its-another-donation.html. Galrahn, “Feedback and Discussion,” Information Dissemination, June 8, 2012, http://www.informationdissemination.net/2012/06/feedback-and-discussion.html. Robert Farley, “The China Divide and the Future of the GOP,” Right Web, November 2011, https://rightweb.irc-online.org/articles/display/the_china_divide_and_the_future_of_the_gop. Robert Farley, “Clinton Embraces the Navy,” Foreign Policy, April 12, 2012, http://www.foreignpolicy.com/articles/2012/04/12/clinton_embraces_the_navy?page=0,0. Josh Rogin, “McCain: Adelson funding Romney Super PAC with ‘foreign money,’” The Cable, June 15, 2012, http://thecable.foreignpolicy.com/posts/2012/06/15/mccain_adelson_funding_romney_super_pac_with_foreign_money. Michael Barbaro, “A Friendship Dating to 1976 Resonates in 2012,” New York Times, April 7, 2012, http://www.nytimes.com/2012/04/08/us/politics/mitt-romney-and-benjamin-netanyahu-are-old-friends.html?pagewanted=all. ; JTA, “Romney says regularly updated by Israeli officials on Mideast affairs,” Haaretz, June 25, 2012, http://www.haaretz.com/news/u-s-elections-2012/romney-says-regularly-updated-by-israeli-officials-on-mideast-affairs-1.443851. Michael Barbaro, “A Friendship Dating to 1976 Resonates in 2012,” New York Times, April 7, 2012, http://www.nytimes.com/2012/04/08/us/politics/mitt-romney-and-benjamin-netanyahu-are-old-friends.html?pagewanted=all. Asawin Suebsaeng, “The Foreign Policy Adviser Mitt Romney Threw Under The Bus,” Mother Jones, January 17, 2012, http://www.motherjones.com/mojo/2012/01/foreign-policy-advisor-mitt-romney-threw-under-bus-mitchell-reiss. Felicia Sonmez, “Colin Powell criticizes Romney on foreign policy; says he has ‘no problem’ with gay marriage,” Washington Post, May 23, 2012.